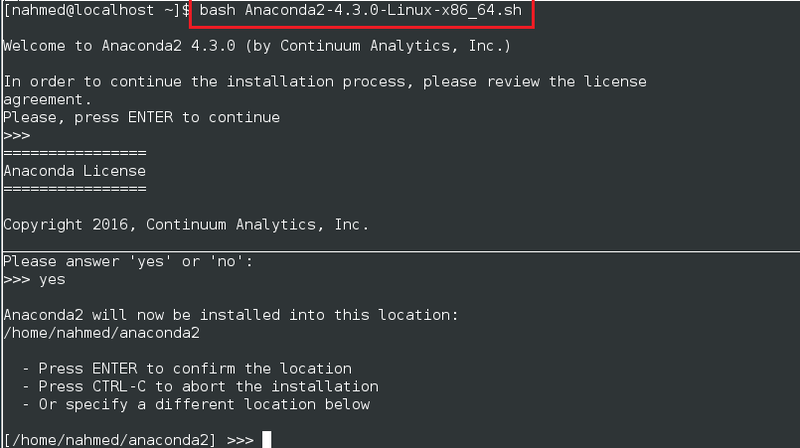 One salient feature is ‘conda’ the package manager. If offers much more as python package and environment utility compared to pip. You don’t have to install it separately, and plus offers virtualenv out of box. For more detailed comparison and conda usage – conda VS pip. Secondly, if you’re into data processing, or some other form of scientific computing, Anaconda’s Python distribution is for you, as it come pre-packaged with all the scientific packages, namely Spyder, Numpy, Sympy, Scipy, Pytest, Matplotlib, and much more. 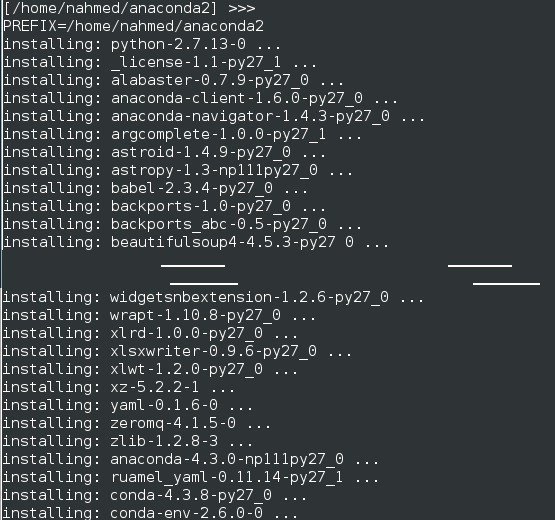 Though you can have all of them installed for your regular Python distribution, but if you have done, you must be familiar with annoying time wasting challenges one face while installing these packages, either due to long download times, or version incompatibility, and more. To verify, open a new terminal window/tab, hit ‘python’, and import numpy or scipy (by default not included in the regular Python distribution i.e. need to install them).